Price/Hwy 101 Frontage roads Edge lines are back! 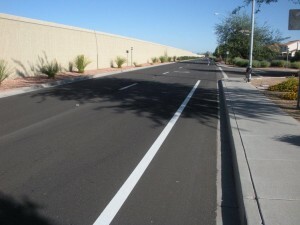 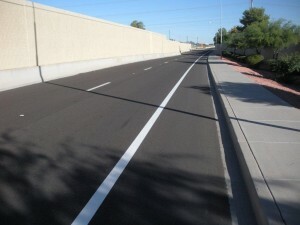 Due to the involvement of the CAzB and a number of other concerned individuals, ADOT was persuaded to re-stripe the Price/Hwy101 frontage roads with edgelines to reconstitute the “bike lanes” (striped but not marked as bicycle lanes) that were previously marked prior to the recent re-paving project. 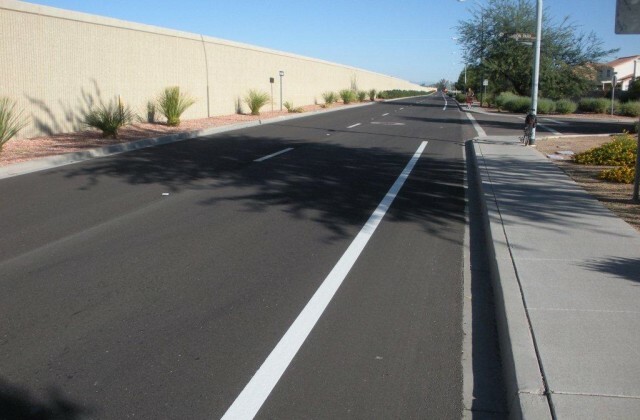 Many bicyclists who live and ride in the area weighed in on this…which illustrates the value of the bicycling community coming together to create a strong, unified voice.